Speech and language development in toddlers and preschoolers is very important. Teaching vocabulary to preschoolers can feel like an ongoing challenge, especially with children with speech impediments. These tips will increase your child’s vocabulary this fall and make it easier to connect with your child. It will help get them interested and encourage them to build language skills that will benefit them for the rest of their lives. 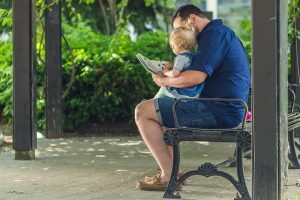 Reading to your child is one of the most effective strategies for building their vocabulary. Fall is a great time to do it! Books contain words and phrases that you otherwise wouldn’t use when speaking to your child. The more you read to them, the more you’ll expose them to a variety of vocabulary words. As the weather cools down outside, you can take your child to the library, visit used bookstores, or order books online. Then you can curl up in a cozy chair to enjoy your finds together. Some children will be content to spend hours cuddled up with mom or dad, reading one book after another. Others will have a shorter attention span, reading a few pages before darting off to do something else. 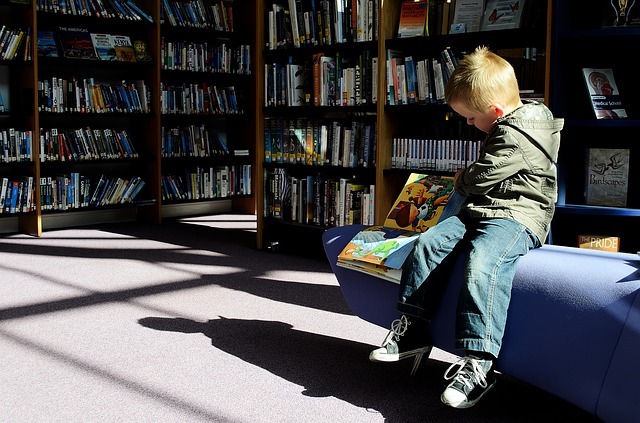 Choosing the right books for your little one can go a long way toward keeping them engaged in the books you’re reading. Choose books that interest your child. This can mean reading stacks of books about their favorite characters or topics they enjoy. Choose books that you enjoy reading. When you’re engaged in the story, your child will be, too! Know your child’s approximate attention span. Does your child listen longer to books that have a few words per page? Do they prefer short stories to elaborate books? Try to choose books that you know will meet their needs. Don’t be afraid to go below your child’s comprehension level for a book that you know they will enjoy! At this age, books with repetition and rhythm are more likely to keep children engaged. Try pop-up books to help your child get more out of the reading experience. During the fall, the world transforms. There are bright reds, oranges, and yellows everywhere. Pumpkins and other squash fill every store. There are also activities available in fall that aren’t around any other time of year. Take the time to explore the world with your child and talk about everything that you see. Invite them to ask questions and take the time to answer them carefully. Below are some fun activities to try. Go for a walk in the park and check out the changing leaves. Invite your child to bring leaves, acorns, and other items home and make fun crafts together. Visit a pumpkin patch to pick out Halloween pumpkins instead of tossing them into the cart at the grocery store. Get lost in a corn maze together. This is a great time to introduce directional words and to talk about plenty of other fun things! Attend a football game as a family. Visit an apple orchard and discuss the trees and how the fruit grows. Teaching vocabulary to preschoolers is easy and fun when they can interact with their environments. Make the most of the fun colors, smells, and activities of fall by taking your child on an adventure. It can help increase your child’s vocabulary at the same time! Preschoolers are often fascinated by their changing worlds. After outside activity with your preschooler, bring them inside for more activities which can help with building their vocabulary. Keep that fall theme in mind as you explore fascinating worksheets and activities. There’s no better time than fall to engage in a wide range of activities to teach vocabulary to preschool students. Follow these suggestions or create opportunities of your own. You can also enroll your child in a Las Vegas Preschool where reading is a part of the curriculum, and we will surely increase your child’s vocabulary. There’s a wide world out there, and you want to give your child the vocabulary to talk about it all!